LID/ SELF-PORTRAIT At the beginning of my period of study in London I decided to wear a hat and only the color black, every day for three years. I wanted to establish a definite, though unobtrusive marker through which this period could be ‘framed’. In hindsight it is interesting to see how such a small change in my appearance would modify my artistic practice and general experience of life. This decision had some definite, immediate consequences as I could, for example, not enter into churches and was even turned away from nightclubs without having to remove the hat. The hat would become a prominent feature of many of the artworks produced during the time. In this way the self-portrait on Wagner’s grave is something of a double ‘lid’ upon a container: that of the gravestone as well as that of the hat upon my head. Both signal clear divisions between the various material states of being in time. 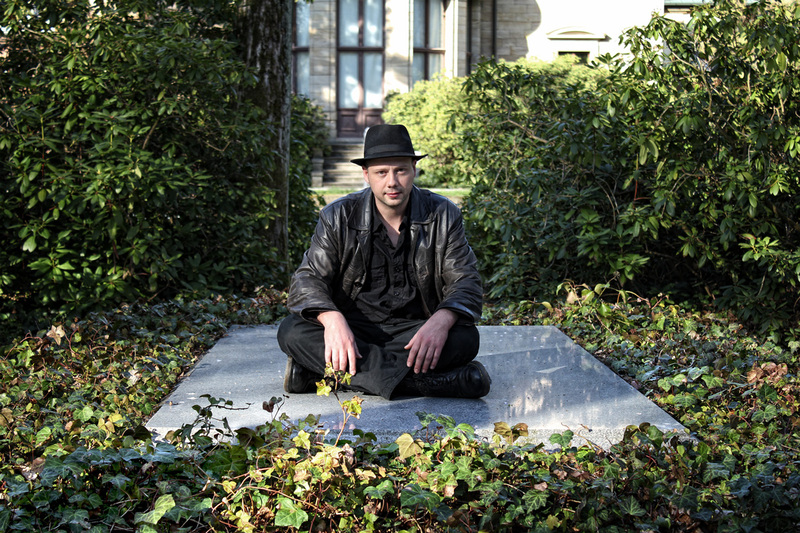 I stopped wearing the hat and the colour black every day of the performance in Bodh Gaya, India, entitled ‘Thank You’ (14 February 2011). On the next page is an interview regarding the work I gave as part of an online exhibition entitled ‘Opening Borders/Opening Objects’, curated by MA/MFA/PHD students of, and hosted by, the University of Western Ontario, Canada, 1 May – 30 August 2010. Q: Where did you get the object from? JT: I purchased it at approximately 14h00 on Friday 29 September 2009 at a hat stall in Camden Lock Market, London, UK. Q: Was the souvenir a gift, a purchased object, or a found object? JT: Purchased, found object. (Even if you find an object one often still has to pay for it). Q: If you purchased the object, how much did it cost? Q: What made you select/keep the object? Three, it is functional in that it allows the body to retain much of its heat in the cold weather of the UK (especially since I regularly shave my head). I was lodging at their premises. and ‘Prospecter’ (2010), amongst others. Lastly, I will stop wearing the hat at the end of my period of studies in the UK (I am currently completing a PhD at the Slade School of Fine Art, UCL on a Commonwealth Scholarship). Q: Is there anything else that you would like to tell us about your souvenir? JT: On the inside of the hat the following inscription can be found: “100% Wool. Handmade. Made for England”.